It is a great planer that ensures your safety, comfort and protects the work piece. 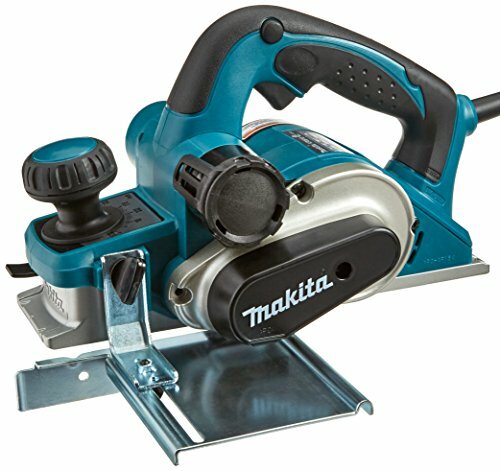 The Makita KP0810 is a sweet little planer. As the most important tool in the arsenal of a carpenter, the planer is supposed to cut, shape and reduce wood as required leaving a high quality smooth finish. 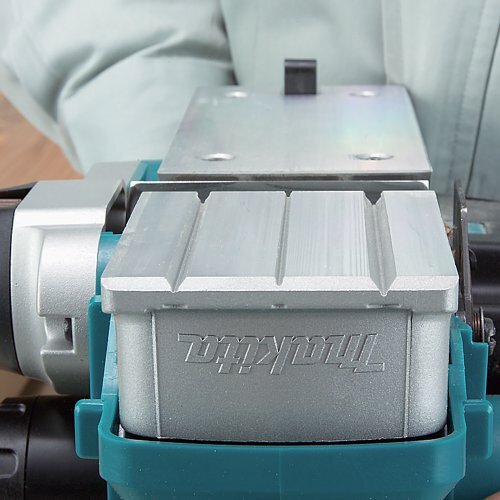 This hand held planer does exactly that and is light enough to be portable. However, its tiny size actually houses a powerful beast that makes easy task of freshly cut wet wood. 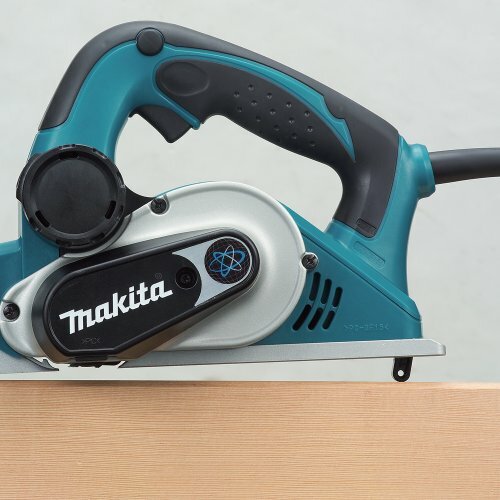 For cleaning rough lumber surfaces that have been freshly milled, the Makita KP0810 will be a better choice as it takes just a couple of passes rather than 20 minutes with a scurb plane. 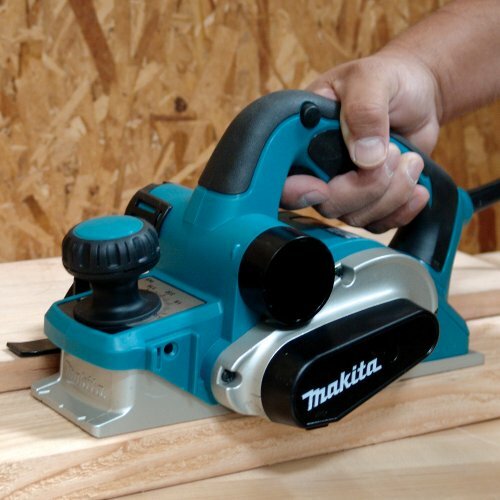 Power tools of Makita are always trustworthy and this planer proves this point the best. 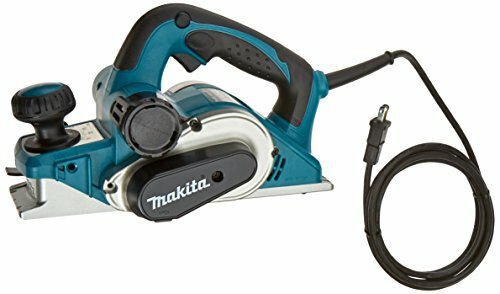 Frankly, the Makita KP0810 planer is an amazing tool; it has a 7.5 AMP motor which actually gives it more power than some other large sized planers available in the market. Given its size, the motor is pretty powerful. The planer has a cutter head with two blades that can plane up to 3-1/4 inch wide and 5/32 inch deep and it has a speed of 16000RPM. It is a convenient planer not only because of its size and light weight but also because it has a rubber handle, which ensures that the hands are protected during usage. The lock off switches provides additional safety and usability since it is ambidextrous. This is very important to me as I tend to lend my planer out a lot. The hand planer’s convenience comes not only from its light weight (7.3 pounds) but also from its elevated base that protects the wood being worked on and the blades from unnecessary damage. It is a highly durable planer and I believe its durability can be attributed to the fact that it has an aluminum housing that protects the planer blades thus ensuring that you do not have to constantly replace them. 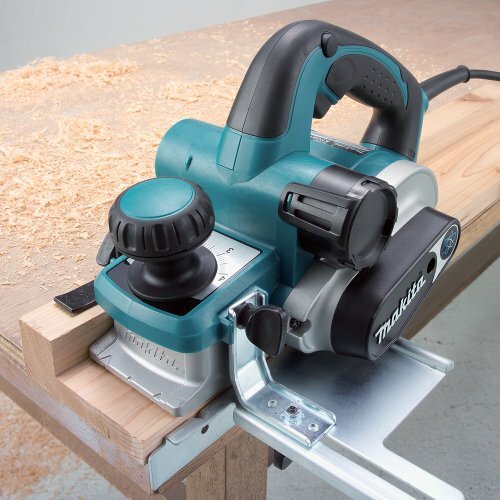 One other thing that is so great about this planer is the fact that it works well on damp/freshly cut wood, just as efficiently as it does on dry wood. The front base also features three options of creating a groove on wood; the options are approximately at 1.4mm, 3mm and 4mm depths. It is a great planer that ensures your safety, comfort and protects the work piece. It is suitable for construction workers to use particularly with door installations and framing. Makita certainly produced a fine quality planer. 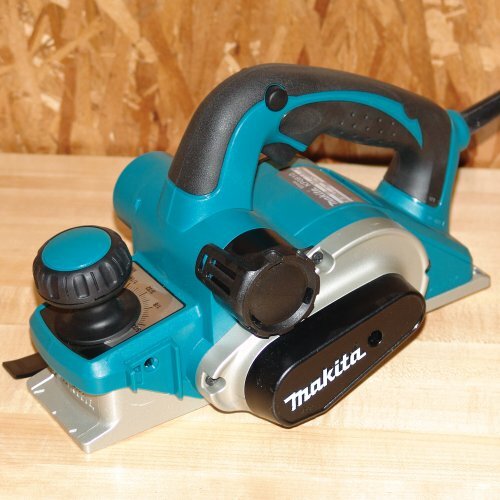 Not only does the planer work great but also looks awesome in the somber Makita blue color. Besides, they even offer a one year guarantee with a 30day money back offer just in case you are dissatisfied with the planer. Personally I don’t have anything to complain. After a lot of searching around the internet to find the absolute lowest price, we’re going to have to say that Amazon is the winner. We suggest you head over to Amazon.com now and pick one up before they run out of click. Pros: Dependable performance, high power and precision controls. Cons: Practically free of any negatives, this is the best hand planer money can buy. 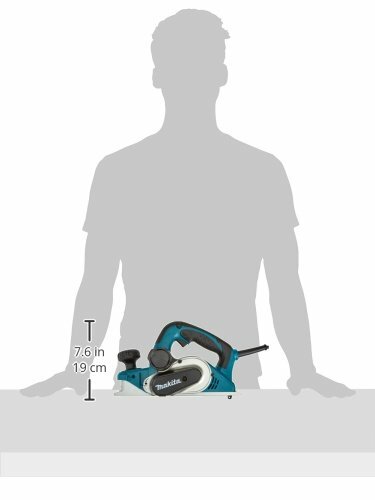 I bought my first Makita planer in 1985 (3 1/2″ and 6″). Both very durable tools, but both were nearly impossible to adjust the knives flush with the stationary rear base. The blade setting device was not accurate, consequenty the planer would cut more on one side than the other, or gouge the surface. I then bought a much larger Mafell planer, and that was so much better and easier to adjust that I got rid of my Makitas. Recently I got a project that required a small 3 1/2″ and 6″ planer. The reviews for the Makitas were very good, so I got them. Both planers arrived with the blades set too low, so they both gouged even when set to “0″. At least the 6″ planer has adjusting screws on the head that were much better than the old system using the blade setting block. The 0810 still uses the blade setting block, but it is now plastic and does not adjust the blades to be flush with the bottom. I like the availability of the double edge blades, but I find them nearly impossible to set correctly. I’m searching for a systematic way to adjust the ‘adjusting block’ or a caliper measurement to set the adjusting block so that I do not have to repeatedly install and remove the blades after finding that they are not correct.